Comadre a Comadre program in collaboration with EleValle, UNM Office of Division for Equity and Inclusion, Unidos Project, UNM ENLACE, UNM Student Affairs, Hispanic Heritage Committee, is sponsoring a workshop series by Simón Silva, "Cultivate A Creative Mind: Nurturing 21st Century Skills," on May 2 and 3. 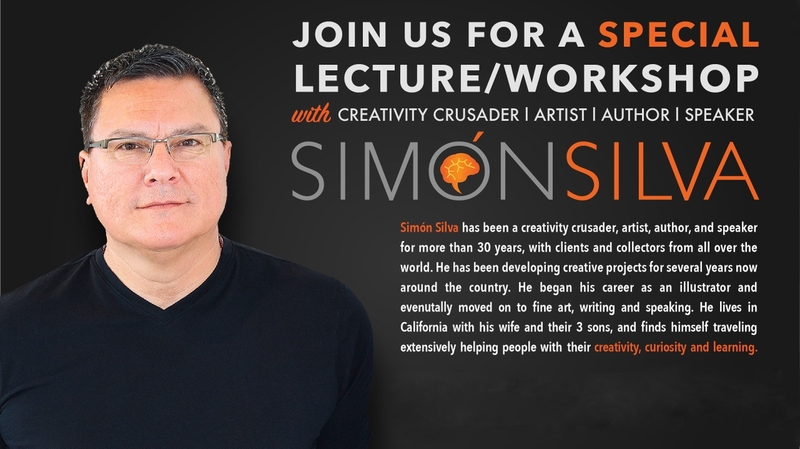 Simón Silva is a well-known artist — creativity crusader — author, and speaker. For more than 30 years, he has traveled the country to do presentations for educators, students, parents and business people and has clients and collectors from all over the world. He began his career as an illustrator and eventually moved on to fine art, writing and speaking. Thursday, May 2: Early Childhood Practitioner Workshop, 10 a.m.–noon at the UNM Science & Technology Park Rotunda Room. Thursday, May 2: Parents and Family Community Workshop, 6–8 p.m. at South Valley Academy High School. 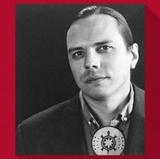 Friday, May 3: UNM/CNM Student, Faculty and High School Student Workshop, 1–3 p.m. at the UNM Continuing Education Conference Center. For more details, visit the Comadre website or call 505-277-2398. All workshops are free and registration is not required. In honor of Comadre a Comadre 15-year anniversary, Silva created an original artwork titled “Amor.” He has donated it with the intent of having it raffled with all its proceeds going to support the program’s activities. You may purchase a $25 raffle ticket for a chance to own this original artwork by visiting the Comadre website.